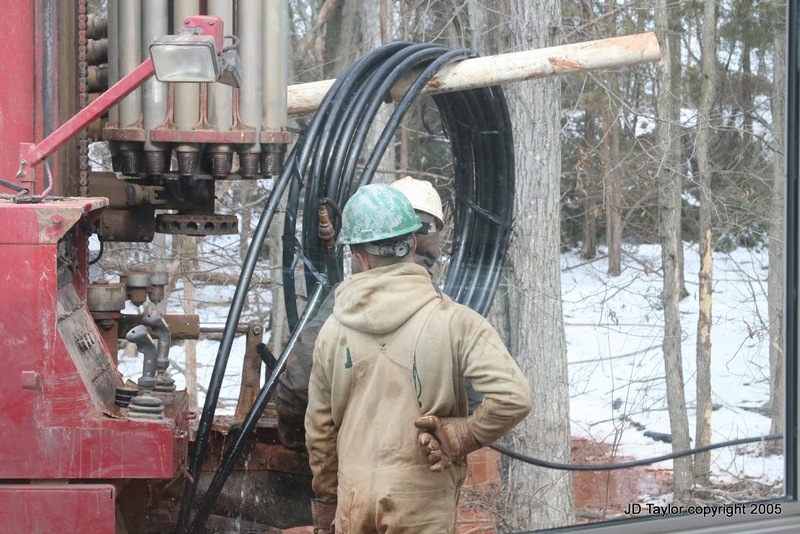 Affordable GeoThermal operating from Poolesville, MD. Contact us at: dlcahoon@msn.com for all your geothermal needs, installing Geothermal Heating and Cooling through out the greater Maryland, Virginia and DC area. Affordable GeoThermal was formed by two experienced building and heating contractors (with over 50 years experience) who are excited about the energy saving performance of these products. As more and more tax incentives were added to encourage the development of GeoThermal, it seemed the barriers of high initial cost of the ground heat exchanger have been lowered and the time is here to “Go Geo”. They realized that satisfaction of individual homeowners with GeoThermal would depend on knowledge about the performance of these systems, proper sizing and design, realistic cost evaluations of savings to be expected, as well as good equipment and installation. To achieve this, Affordable GeoThermal must first do an in-depth energy analysis of your home. 2. Using an Infrared camera to confirm thermal losses and a blower door to check infiltration losses; we will check and adjust the calculations based on the “real world” performance of your home. 3. We will analyze your current heating and cooling equipment to determine efficiency, life expectancy, and how well it satisfies your expectations. For example: if you currently heat with a gas furnace, the comfort you would experience with a heat pump would be different from what you are used to. We would work with you to determine the best fit. 4. We will enter two years worth of your actual fuel and utility usage to confirm the calculations. 5. We will size a system based on your home and your lifestyle. 6. The largest initial cost of GeoThermal is in the Ground Heat Exchanger. Since we have carefully determined the size of your system, we will now design a vertical or horizontal closed loop system that can meet your needs. This will be done taking into account USGS soil maps for thermal conductivity as well as space and configuration issues. 6. Since we have charged you a modest fee to do the design work upfront, you will not be obligated to use our company for the installation. You are free to use our values and designs to shop other installers, but now you have an accurate assessment of your energy needs. Why is this important? The largest expense of GeoThermal is in the ground heat exchanger. If you are off on the calculations for your heating and cooling loads, this can mean thousands of dollars spent needlessly on a unit that cannot perform to your expectations. Copyright © 2019 Affordable Geo.